We did not have chance to connect our Samsung Galaxy Tab to computer since we did not use the tablet as our major file and photo storage device because of its internal space is limited and the camera is not good as our camera. But after several months we still saved some images on the Galax Tab. We wanted to use Bluetooth to transfer image files to our laptop which was running Windows 8.1. First we should make sure our laptop or desktop with Windows 8.1 supports Bluetooth, some old module computers did not come with Bluetooth hardware supported even running a Windows 8.1 or even Windows 10 system. If you can not see non-Unicode characters correctly, you have to change your language settings. Most of new computers come with Windows 8 or Windows 8.1, but people should know those pre-installed Windows 8 or 8.1 are basic editions (some people call basic edition as “Core”), which aimed at home users. For business users and professional developers, we should upgrade basic Windows 8 / 8.1 to Windows 8.1 Pro or above editions. But before we upgrade, we might think we do not need to reinstall Windows 8.1 Pro, because might there is only different license, and some new features might be able to upgrade automatically, and, only minor change after new license key input ? If you used Google Chrome browser in Windows 8, you might get headache trouble for downloading something, because you might not see the “Save As…” window, and you thought the downloading in Chrome was not working or stuck, but actually the “Save As…” windows was popup already and was waiting for your further operation. Yesterday (2012 May 31), Microsoft released another Windows 8 version: Windows 8 Release Preview, which is newer than Windows 8 Customer Preview. 2012 April 16, Brandon LeBlanc who is in Microsoft shared the information on his blog about announcing the Windows 8 Editions. So now we know Microsoft Windows 8 will have 3 editions first: Windows 8, Windows 8 Pro and the ARM version Windows RT (Actually, why call Windows RT ? Why not Windows 8 ARM ? ), not only you have the questions. 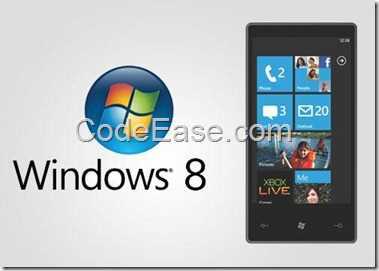 Microsoft released Windows 8 Consumer Preview on Feb 29, 2012. There are lots of people want to try Windows 8 so they installed this version on their PC, laptop, or on Virtual machine, so they can dual boot or use virtual machine. Also, some people use virtual box which is similar with virtual machine. and, using virtual hard driver: How To Guide to Installing and Booting Windows 8 Consumer Preview off a VHD (Virtual Hard Disk). 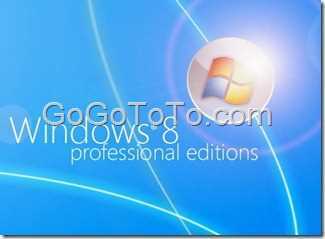 However, there maybe lots of people do not want to install current Windows 8 beta version (preview version) on their existing OS, for example, they have Windows XP / Vista / 7 installed, they do not want to any other OS to “disturb” their current OS, but just they want to try and see what Windows 8 is exactly. 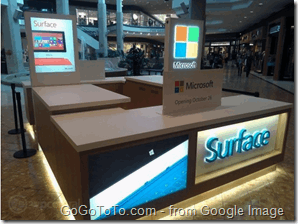 They can take advantage of the new feature named Windows to go from Windows 8. 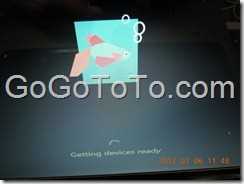 There are many articles on the internet about How to make a Windows 8 bootable USB drive. But we will finally find most of those guide are about either just making a bootable USB drive to let you do the further steps to install a new Windows 8 system on your PC (if you see download the Windows7-USB-DVD-tool.exe, it definitely teaches you boot from USB and later you will have to install Windows 8 on your PC) or they provide steps to make a real Windows to go USB drive which can load Windows 8 system from USB but one important premise is that you must have a running Windows 8 system. Of course it is easy if you have a running Windows 8 system to make a Windows to go USB drive because you have already installed a Windows 8 PC. just like you have a Windows 7 PC and make a bootable DVD or USB key. But you know most of Windows users do not have a Windows 8 system installed yet. 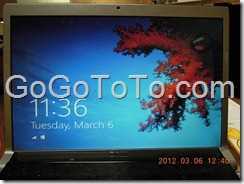 Is it possible still to make a Windows to go USB key ? The answer is YES. We have made one successfully. 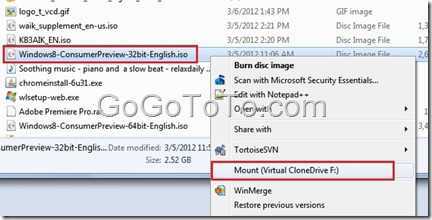 Now we provide all steps which we made the Windows to go USB drive without any Windows 8 system running. 3: a 16GB or above USB drive, you’d better have a USB 3.0 32GB USB if you want to happy with the boot speed and configuration speed. 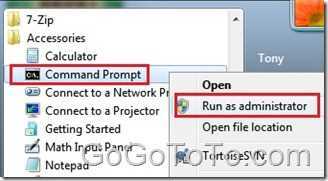 – Open Command Prompt using Administrator role. 3: Now we need to copy Windows 8 files to the USB. First we need a program named “ImageX.exe” that uses an API layer to support interaction with the .wim file. 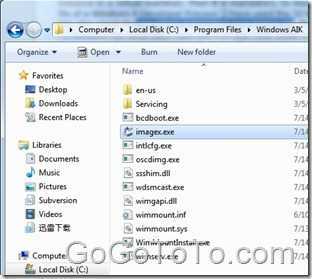 ImageX is an imaging tool built from a set of APIs, known as Imaging APIs for Windows. The primary purpose of ImageX is to capture, modify, and apply images for deployment in a manufacturing or corporate IT environment. ImageX supports the new Microsoft Windows Imaging (.wim) format. 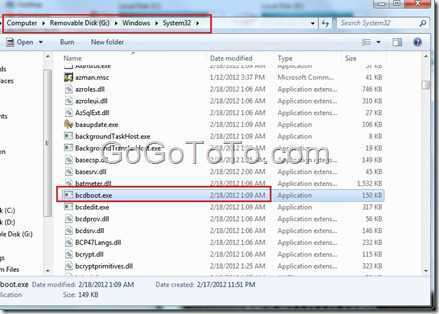 ImageX.exe is included in Automated Installation Kit (WAIK) , so we download and install Windows Automated Installation Kit (WAIK) for Windows 7 here. 4: After you installed AIK, go to folder “C:\Program Files\Windows AIK\Tools\x86” (32 bit) or “C:\Program Files\Windows AIK\Tools\amd64” (64 bit) due to your current OS system, but you can still choose the 32 bit on whatever your system is 64 or 32. ). Now we will wait for quite long time to let system apply progress. The waiting time really depends, for our case, we used a USB 2.0 driver and a old PC, so we waited over 1.5 hour in this step (109 min 28 sec). Attention: Just this step is different from most articles which from internet ! however, it did not work but just listed bcdboot command help information because it told us we used wrong way for it. Then we found there is another bcdboot.exe file in C:\Program Files\Windows AIK\Tools\x86 folder, but it still did not help. we also used another bcdboot.exe file in 64 bit folder, still no work. Finally, we realized the bcdboot.exe file in the folder AIK is still a Windows 7 version. So we should find a Widows 8 version of bcdboot.exe. But where can we find the Windows 8 version? We said we do not need a running Windows 8 PC…Wait ! We have already got the Windows 8 system files on our USB driver, right? 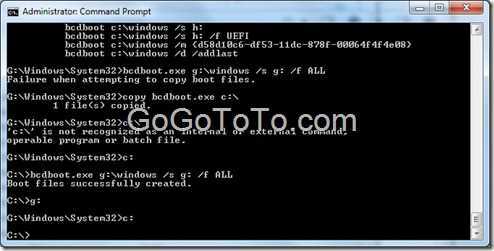 Why don’t go to search Windows 8 version bcdboot.exe file there ? The program can’t start because api-ms-win-cor-file-l1-1-1.dll is missing from your computer. Try reinstalling the program to fix this problem. Now we really felt trouble: Do we really need a running Windows 8 PC first ? We almost gave up at that time. Wait! let me try one more step: Why don’t copy the Windows 8 bcdboot.exe file to local C: or D: driver and try what will happened ? We copied the bcdboot.exe file from our USB windows 8 folder to C:\ driver, and run the following command again. The boot information generated to USB drive successfully! OK! Now we have a Windows 8 To Go USB Drive, just plugin to any computer and change the machine’s boot from USB driver, you will see the Windows 8 boot and configuration process, and finally you can see the Windows 8 interface! There was no live video when Microsoft released Windows 8 Consumer Preview in MWC 2012 today. Most of people could just read or watch 3rd party website’ live text reports.